Aren’t websites a must-have for all businesses? Very few or rarely anyone would disagree to the fact that websites plays a very important role in determining the success of a brand or service. It directly takes up the lead to intrigue viewers and turn them into potential customers. How is that possible? An apt answer would be that – much of the content, user-friendly designs and relevant search options, readable fonts, digital personalization of your business goals presented in an understandable and clickable format can do the work for you. 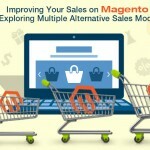 Research says, the lesser visitors find it difficult to click, the more the sales ratio goes up for ecommerce websites! Imagine yours. On the contrary, putting up a website speaking the visitor’s language is easier but apparently difficult when it comes to customization and absence of all-round support from a professional team. Business size doesn’t matter as long as we understand ‘how’ to get there and make it! It is increasingly essential to take up custom web design and development services from industry experts like Fast Conversion Marketing Solution Pvt. Ltd who deliver within the exact business hours, as promised. 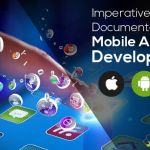 Moreover, you get more than 5 benefits to say yes to custom web design and development. Custom websites are made by experts. You might very well buy a website template and personalize its themes. Although it’s a proven fact that 95% of these personalization do not work without the help of original developer of the template. It is highly believed that custom websites are SEO friendly. They climb up the search engine ranking chart far ahead of generic websites which are free. Moreover, custom websites are made keeping your competitors in mind. So, as an owner you’ve got a cutting edge there! Free websites rarely make it to the top ranking in search engines in order to convert their businesses. If you take a close look at websites who perform better than others, you can find they are mostly customized. Also, there are other web “who’s who” finder like your competitors who use every professional technique to reach the first spot. 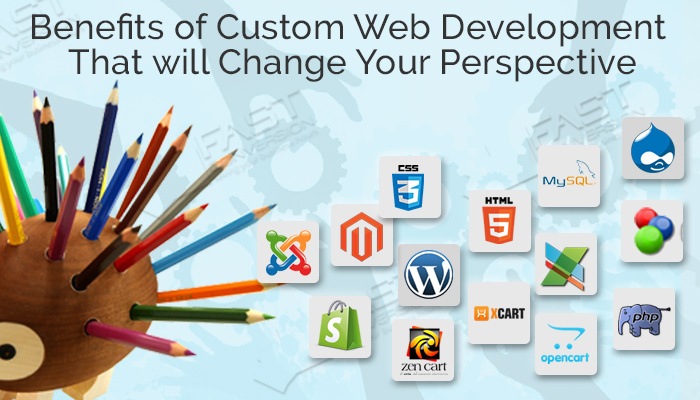 Mind beating them by investing in custom web designing and development? A free website cannot provide you maximum leverage that custom websites do. Your website needs careful business planning & designing, implementation according to your higher goals, continual support, dedicated developer team and a verbal tutorial from developers to help you track your website’s progress. Choosing to hire from a reputed company like Fast Conversion Marketing Solution can definitely provide you a well-planned and designed website that directly delivers promising deals to your target audience and develop your business strategy for the long-term. Free websites are mostly created on templates available in online stores. 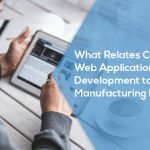 With the industrial and technological revolution rolling out huge changes every now and then, it will be difficult for free websites not to worn out. One or the other day, a web owner has to take professional help. 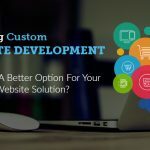 Herein lies the greatest advantage of having custom websites that can be customized, revamped or modified again and again by developers as and when required for business. Free sites could never exhibit high quality that custom websites do. Free websites also drive away a lot of potential customers. With a custom website, you can have full control of your site’s appearance and functionality. For a respectable brand it is increasingly essential to maintain a clean, professional and effective online presence. Unlike free websites, you can differentiate certain elements of your website with the way it looks, offer services or talks about your products in an impressive manner. This in turn increases the chances of conversion in lesser time than usual as it saves anyone’s time to understand and use content to work on your website. Scrolling through your website becomes flawless with a unique blend of right content at the right place. 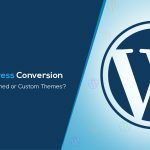 Developers at Fast Conversion offer a great makeover of your website at an affordable price range and redesign it using their best professional team. No wonder, Fast Conversion has received accolades from many quarters of different industry verticals due to their hard work and passion to make a difference! Last but not the least, custom web design and development boosts your personal branding. It aligns your business goals with an extended version of your website through logo, content, signage, brochure etc. To gain trust in the market, this is quite essential. It helps I brand recognition and makes you a ‘favorite’ among your business peers. 10 years down the line you can be proud of what you created for your company that hardly needs a revamp! A customized website is the best online ‘catalogue’ to promote your business and take it to new heights. As far as search engines are concerned, we already discussed how they recognize your website to keep it in the top and this has been going on for years. Let Fast Conversion Marketing Solution skillfully customize your website to cater to your business needs. With our one-stop solution approach, you can absolutely sit back and enjoy the advantages that follow!